Emergency Kitchen Rental Los Angeles offers mobile kitchen rentals, to meet your emergency cooking requirements. While you plan remodeling of your kitchen or while planning to shift to a new home, you will need dependable kitchen rentals. While you can look for several of the commercial kitchens for rent, you get the best mobile kitchen rentals from Emergency Kitchen Rental Los Angeles, Leasing, Lease and Disaster Relief Services, Prep Kitchen, Dishwashing, Food Preparation . We also offer the best of commercial kitchen repairs, kitchen party rentals, modular and prefabricated kitchens, kitchen containers, oven, etc for medium to large scale catering requirements. While you plan your food business or your catering business around a major event, the best option you have is commercial kitchen rentals from Emergency Kitchen Rental, Leasing, Lease and Disaster Relief Services. Get the best in commercial kitchen repairs, kitchen party rentals, modular and prefabricated kitchens, kitchen containers, oven, etc for your cafeteria or event catering business. We offer Mobile Kitchen Rentals, Temporary Kitchen Rentals, Emergency Kitchen Rental, Temporary Commercial Kitchen Rental, Leasing, Lease and Disaster Relief Service, Prep Kitchen, Dishwashing, Food Preparation. At Emergency Kitchen Rental Los Angeles, we make sure you get the best of commercial kitchen repairs, kitchen party rentals, modular and prefabricated kitchens, kitchen containers, oven, etc. There are several advantages of choosing our commercial kitchens for rent. You will get the best quality, fully equipped kitchen, complete with electricity, gas and water at the right places with plenty of hygienic workspace. You can also find at Emergency Kitchen Rental Los Angeles, the most affordable services. In addition, you don't have to make your major investments on your kitchen and kitchen equipments. Emergency Kitchen Rental takes care of the kitchen, appliances and equipments. You can plan to start your food service business in one location or multiple locations, while making sure you have the best support. Emergency Kitchen Rental Los Angeles also has the best quality support and services to guarantee you the services at the places you require. Call us and tell us when and where you need us to deliver the fully equipped portable kitchen. Emergency Kitchen Rental has a fleet of trailers, fully equipped with a great kitchen, capable of handling any of your cooking requirements. From small community to big carnival events, our commercial kitchens for rent are fully capable of delivering the requirements. Emergency Kitchen Rental, Leasing, Lease and Disaster Relief Services Prep Kitchen, Dishwashing, Food Preparation delivers in style. Our kitchen is up and running anywhere our trailers can reach. While you pick Emergency Kitchen Rental, Leasing, Lease and Disaster Relief Services, rest assured that we are fully licensed and insured. Our trailers and mobile kitchens are also equipped to handle all sorts of situations. The kitchens are designed to meet the highest safety standards and convenience levels. We make sure you have the well equipped kitchen that serves you with the specific cooking and serving requirements we have. We also ensure you handle the kitchen as easily as you would your kitchen. Just give Emergency Kitchen Rental a call for Prep Kitchen, Dishwashing, Food Preparation, whenever you feel the need of mobile kitchen rentals or commercial kitchens for rent. 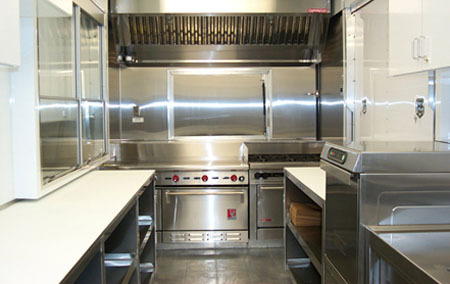 Our commercial kitchen rentals always meet the highest standards of the industry. With the best in commercial kitchen repairs, kitchen party rentals, modular and prefabricated kitchens, kitchen containers, oven, etc, Emergency Kitchen Rental is the starting point for entrepreneurs who plan to start a food and catering service in style and on a confident note. Our services are also suited for anyone who requires a kitchen at their convenience, wherever he or she is.